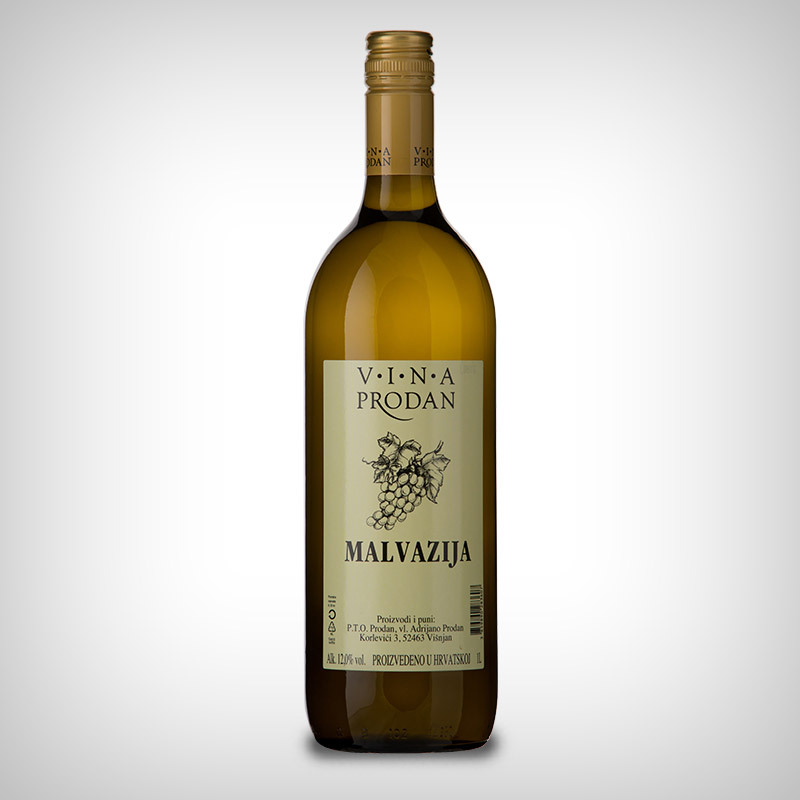 The wine is produced using the Istrian Malvazia grape variety. 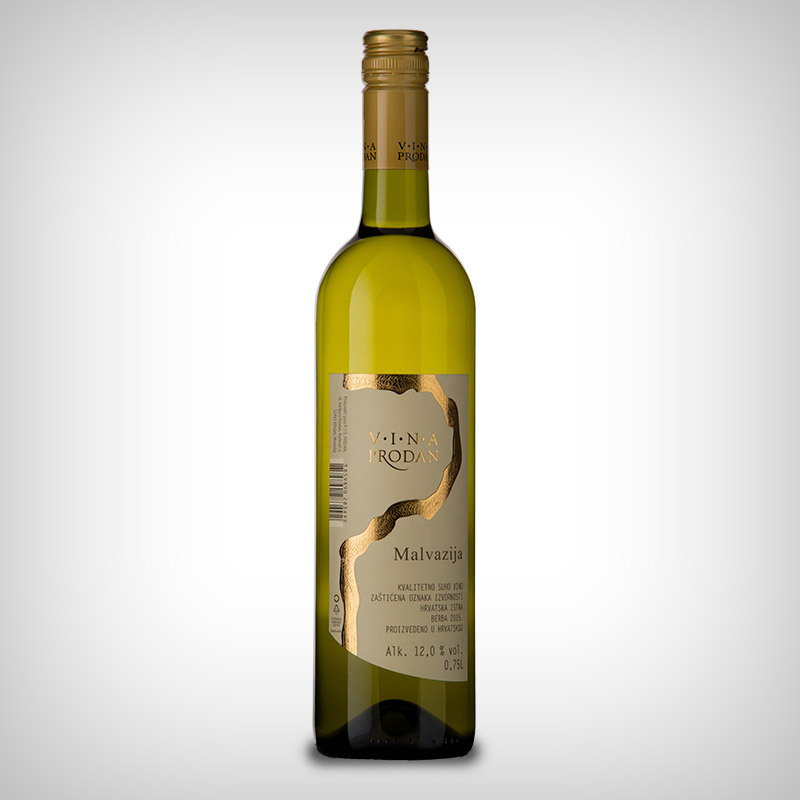 Golden yellow in colour, with particularly bold and characteristic varietal aromas, pleasantly harmonious and well rounded in taste. It is served at a temperature of between 10 and 12°C with white meat and sea fish. 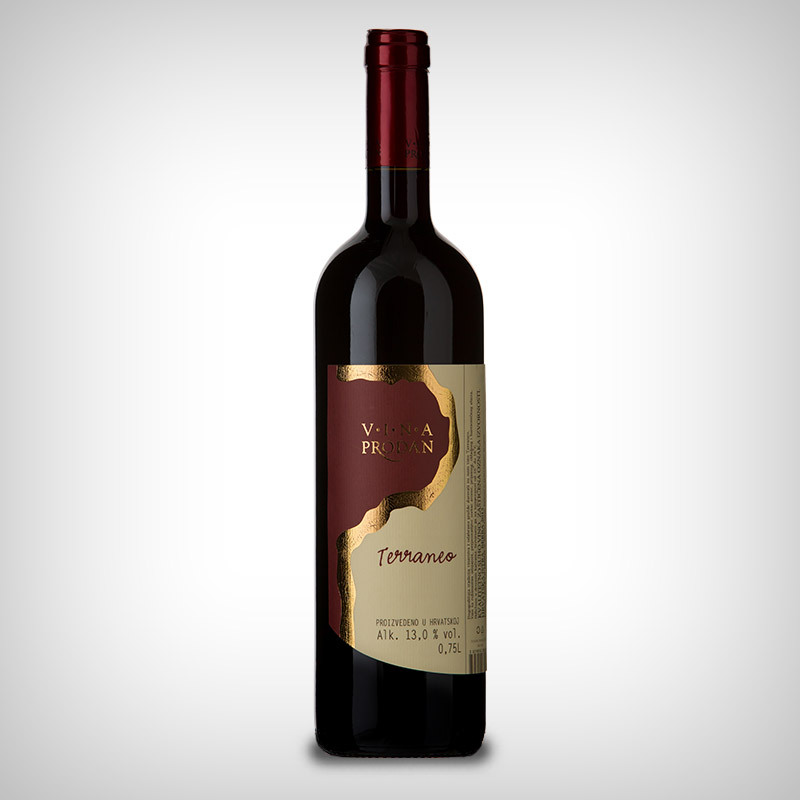 A longstanding winemaking tradition and selected grapes have bestowed us with the Teran wine. A wine with a garnet red shine, characteristic varietal aromas, refined and pleasantly balanced and harmonious in taste. Aged in wooden barrels. It is served it at a temperature of between 16 and 18°C. The vineyards of Višnjanštin and winemaking traditions have bestowed us with Chardonnay wine. 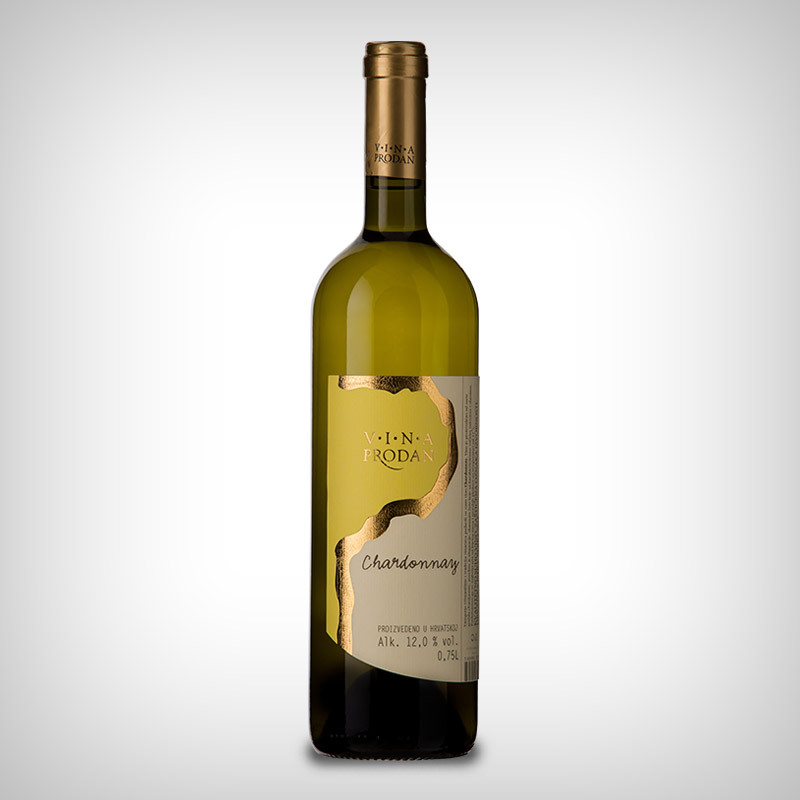 The wine is produced using the chardonnay grape variety, refined in taste and straw yellow in colour, with characteristic aromas and flavours of fruit. It is served with our finest meals made of white meat and seafood at a temperature of 12°C. 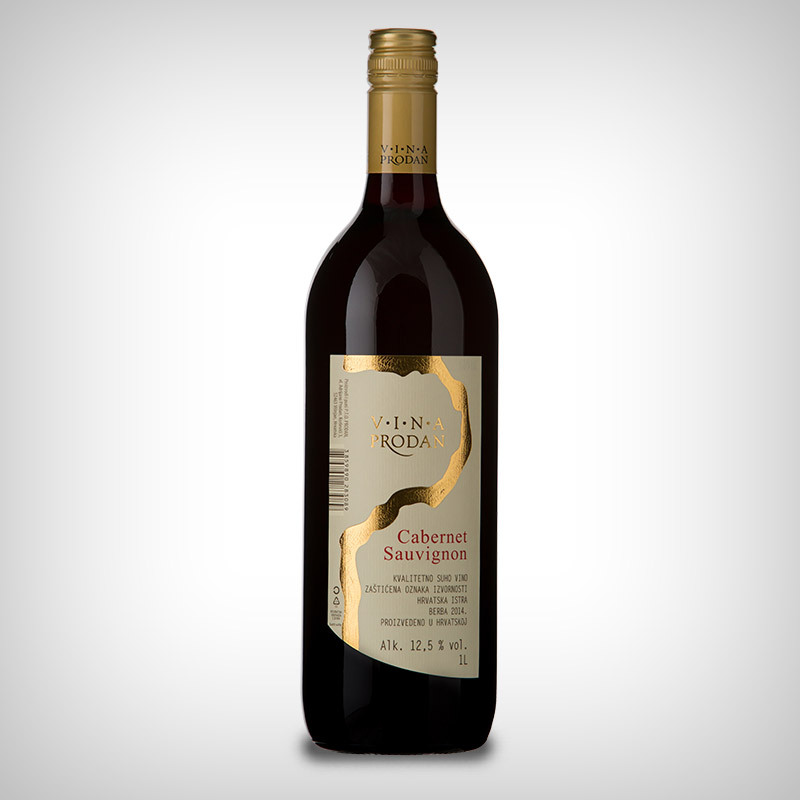 A longstanding winemaking tradition and selected grapes have bestowed us with Cabernet Sauvignon. 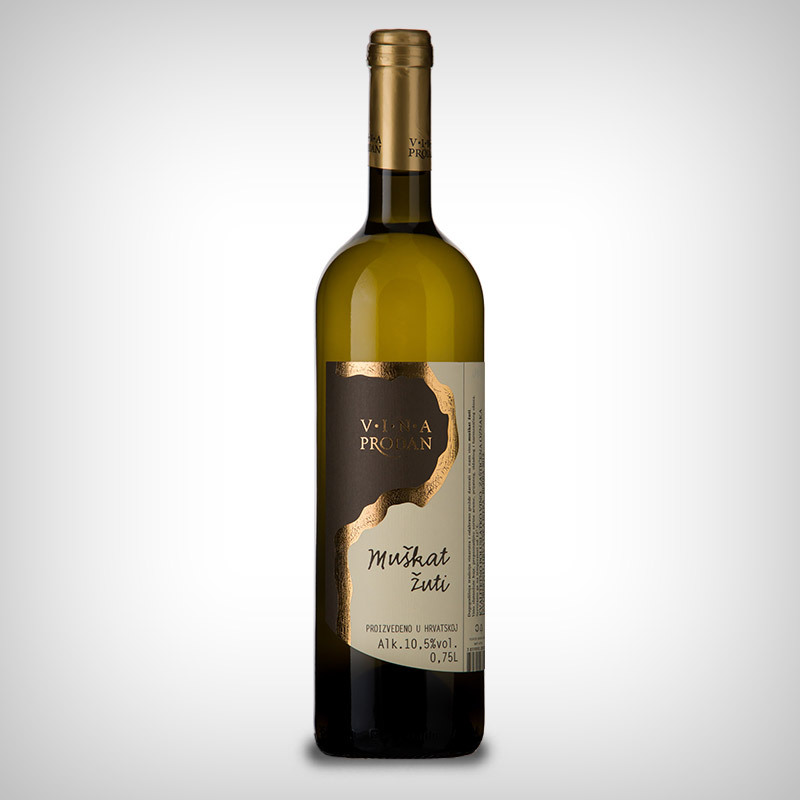 A wine with a garnet red shine, characteristic varietal aromas, refined, balanced and harmonious in taste. Aged in wooden barrels. It is served at a temperature of between 16 and 18°C. 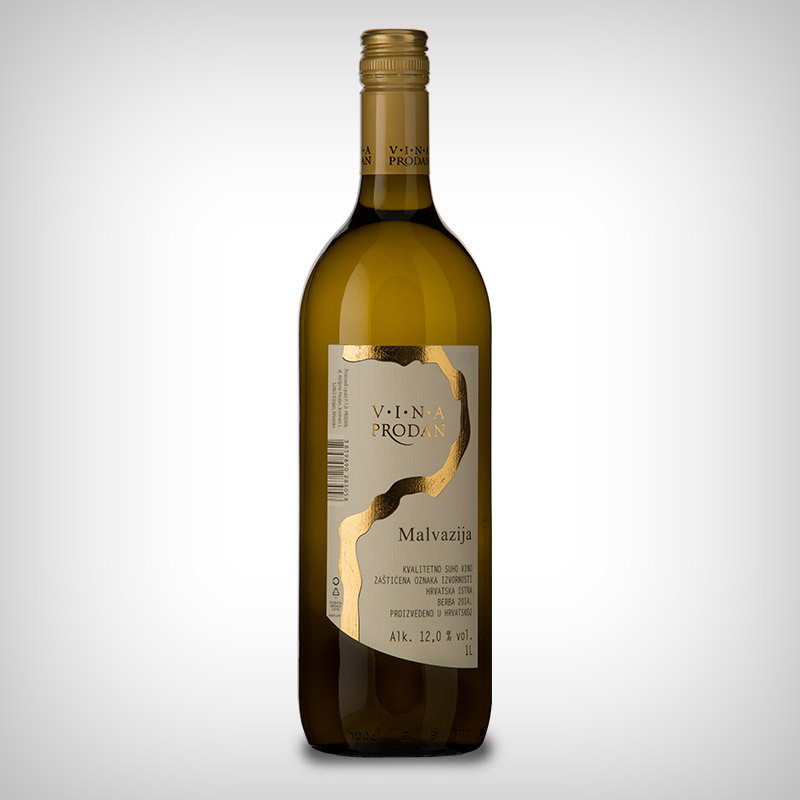 A longstanding winemaking tradition and selected grapes have bestowed us with the semi-sweet Yellow Muscat. 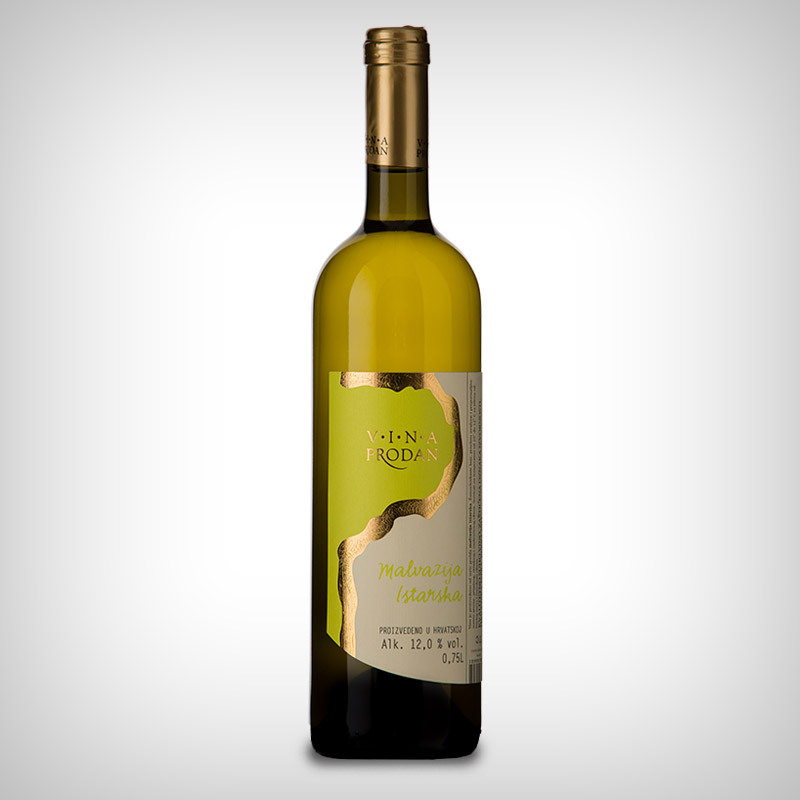 A golden yellow wine with characteristic varietal aromas, balanced and harmonious in taste and pleasant on the palette. It is served at a temperature of 12°C. 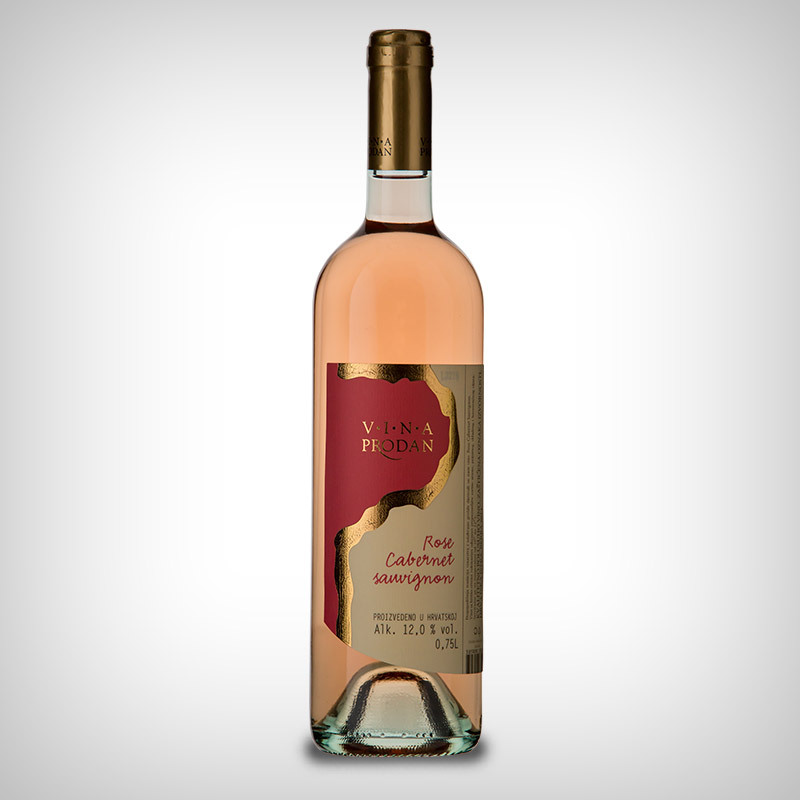 A longstanding winemaking tradition and selected grapes have bestowed us with Rose Cabernet Sauvignon. 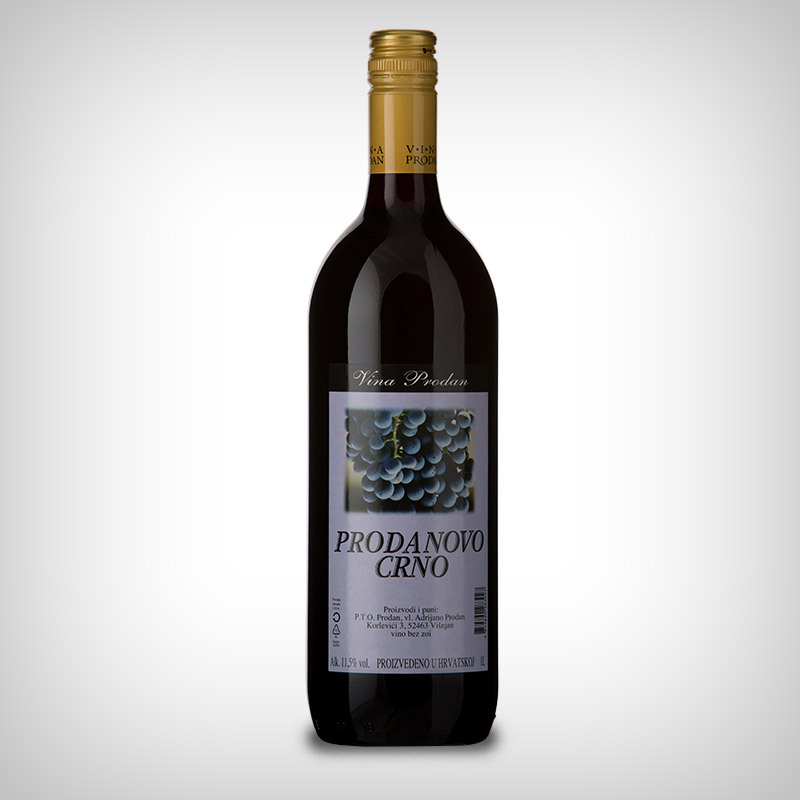 A wine with a garnet red shine, characteristic aromas, flavoursome, balanced and harmonious in taste. Aged in wooden barrels. It is served at a temperature of between 10 and 12°C. 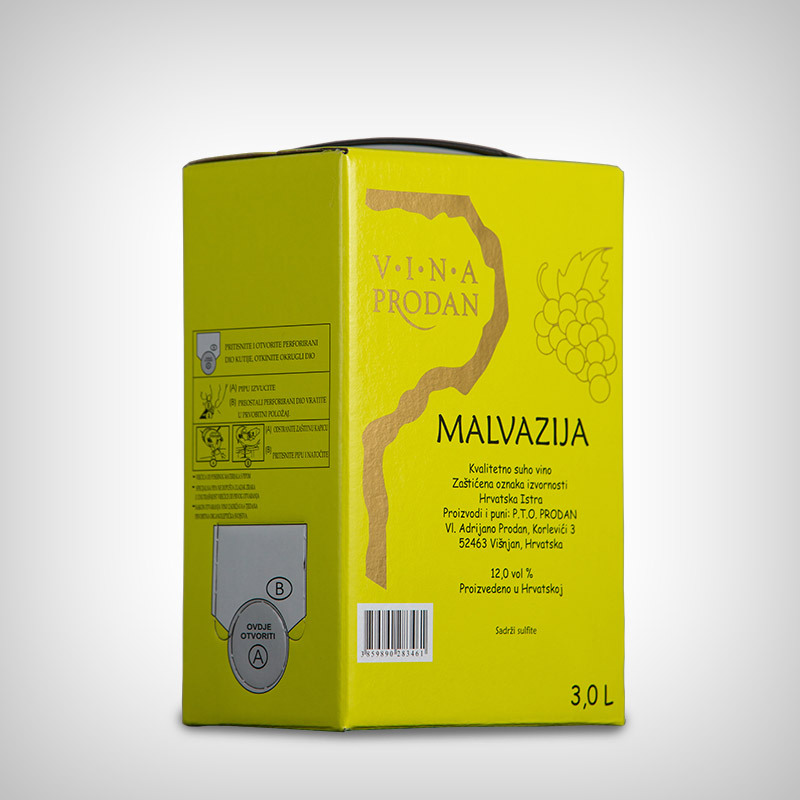 Packing wine in Bag-in-Box packaging is in keeping with modern trends and the latest technology. 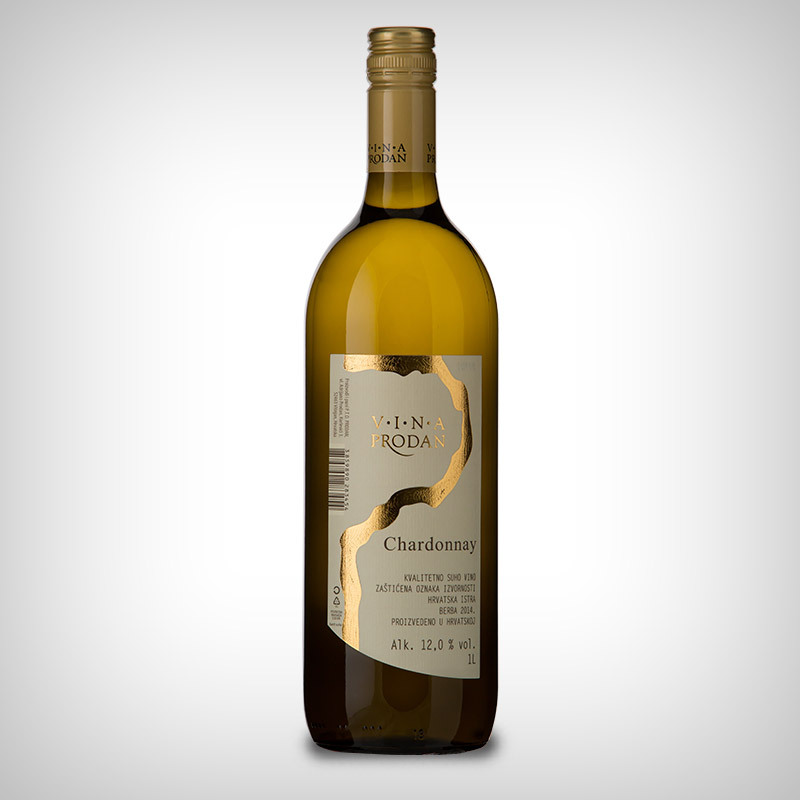 Bag-in-Box packaging helps the wine retain its quality and its organoleptic characteristics longer since, even once the bag is open, it does not come into contact with air that can cause oxidation and spoilage. The flexible bags have external cardboard packaging for easy handling and a safety closure (valve) that hermetically closes the bag and makes it impermeable to moisture and gases.